Information is all around us, and more often than not, it is simply hard to keep track. It can be frustrating, as important news are happening every day and it is important to stay up-to-date. Such a significant amount of information is probably hard to filter out, to only follow what you want and what you are interested in, without distractions. It is efficient to follow good news sources on Facebook, as they will show up in your feed and offer the latest information as it becomes available. But a single unintentional click, like a refresh, and that news story will be lost, unless you can remember exactly which page published it and when. Facebook’s algorithm shows a different homepage based on their factors. So, how do you follow only what you want, without having to miss anything important? That is where the RSS feeds come into play. RSS stands for Really Simple Syndication, mainly an aggregation of news all in one place. What Makes RSS Stand Out? Typically, pages filled with different kinds of multimedia files, audio and visual cues, as well as ads. RSS reduces that to the bare minimum – the title, and the text which comprises the main body of the page. If the main content is a video, or an audio stream (like a Podcast), RSS will take that into account. By minimizing the available content to only what we want to read, without being distracted by some irrelevant stories, you have two major benefits – you can quickly find the desired info within the text, and it provides an excellent way to deal with compatibility issues. All kinds of devices support simple text, videos, and audio, which makes RSS quite potent. Another important aspect is that RSS delivers the content to you, without having to check it manually. How Does It Deliver Content to Me? RSS implementation is completely free, for both website owners and website users. RSS readers, on the other hand, range from free to premium versions. 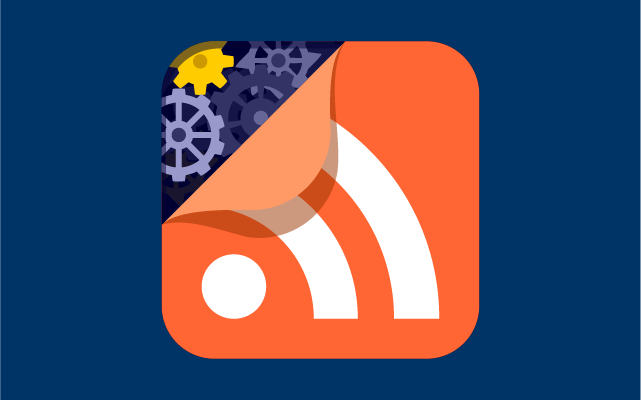 RSS readers, or aggregators, run in the background and silently check for news from the subscribed channels, and create a feed for you to look at. The feed needs to be specially formatted so that the readers (aggregators) can, well, read it. That way, your reader will show a short snippet of the news, which you can open and read the full text if you are interested. The aggregator will notify you about any new information available, or you will have to check them manually, it all depends on your preferences, and when the website you have subscribed to, posts something new – you can instantly access it. How to Use RSS Aggregators? There are many readers out there, as the ease of use of each one makes it an extremely viable alternative option. Most casual users will find one of these options most appealing – they have a simple interface, and are incredibly simple to use. After you’ve set up your aggregator, you just need to start adding subscriptions. RSS has a unique icon which is easy to notice, and you just need to visit the desired news portal and find it or search for their RSS feed in Google. Feedly has built-in search options which can find some of the most popular feeds and add them directly to your stream. What Can an RSS Be Used For? Well, you don’t have to collect only news in your reader – you can usually subscribe to eBay search results, and many other popular platforms have the same service, allowing you direct access to what you are interested in. In the end, it all boils down to convenience – RSS is incredibly easy to use, set up, and it consumes much less internet bandwidth than traditional browsing and opening a web page with hundreds of intrusive images, pop-ups, and auto-playing videos. It is especially important for those who are constantly on the move. For the rest of us, it provides an excellent stream of things we are interested in, without having to waste our time being tricked by click bait, or rechecking a web page to see if it has been updated with new info.